The most ferociously political and prophetic book of the Cut-Up Trilogy, Nova Express fires the reader into a textual outer space to show us our burning planet and to reveal the operations of the Nova Mob in all their ugliness. As with The Soft Machine and The Ticket That Exploded, William Burroughs deploys his cut-up methods to make a visionary demand that we take back the world that has been stolen from us. 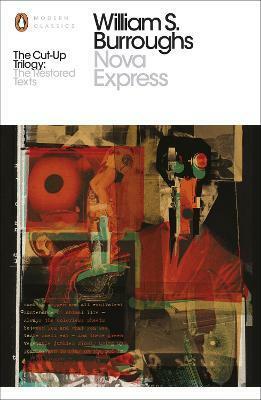 Edited and introduced by renowned Burroughs scholar Oliver Harris, this new edition reveals how Nova Express was cut from an extraordinary wealth of typescripts to create startling new forms of poetic possibility. The third book of Burroughs' linguistically prophetic 'cut-up' trilogy - following The Soft Machine and The Ticket That Exploded - Nova Express is a hilarious and Swiftian parody of bureaucracy and the frailty of the human animal. William S. Burroughs was born on February 5, 1914 in St Louis. In work and in life Burroughs expressed a lifelong subversion of the morality, politics and economics of modern America. To escape those conditions, and in particular his treatment as a homosexual and a drug-user, Burroughs left his homeland in 1950, and soon after began writing. By the time of his death he was widely recognised as one of the most politically trenchant, culturally influential, and innovative artists of the twentieth century. His numerous books include Naked Lunch, Junky, Queer, Nova Express, Interzone, The Wild Boys, The Ticket That Exploded and The Soft Machine. After living in Mexico City, Tangier, Paris, and London, Burroughs finally returned to America in 1974. He died in 1997. Oliver Harris is professor of American literature at Keele University and the editor of The Letters of William S. Burroughs, 1945-1959 (1993), Junky: the Definitive Text of "Junk" (2003), The Yage Letters Redux (2006), and Everything Lost: The Latin American Notebook of William S. Burroughs (2008). He has published articles on film noir, the epistolary, and Beat Generation writing and the book William Burroughs and the Secret of Fascination (2003). He is currently co-editing Naked Lunch@50: Anniversary Essays (2009) and working on a new twenty-fifth anniversary edition of Queer (forthcoming in 2010).